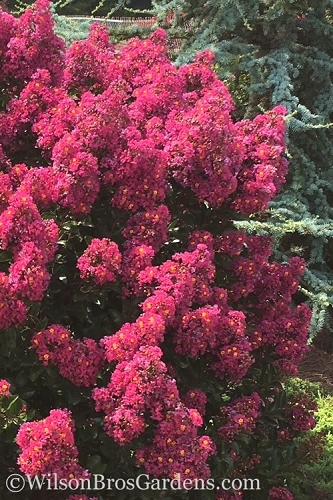 The method for pruning a dwarf crape myrtle shrub is much different than for pruning taller crape myrtle trees. 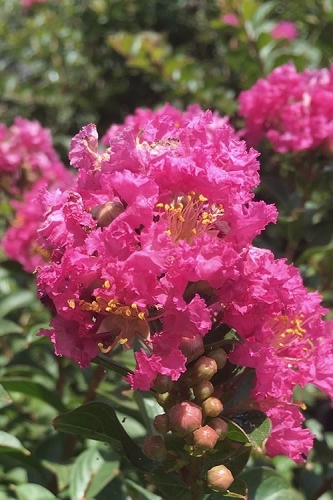 Plant breeders are continuing to improve and introduce new smaller growing crape myrtles which are useful for planting in smaller garden spaces or container gardens. 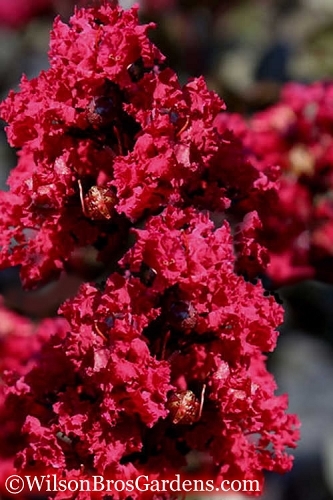 They look great just about anywhere and, when cared for properly, provide magnificent color during the summer months as a border, in mass plantings, as part of a perennial garden, or in containers. 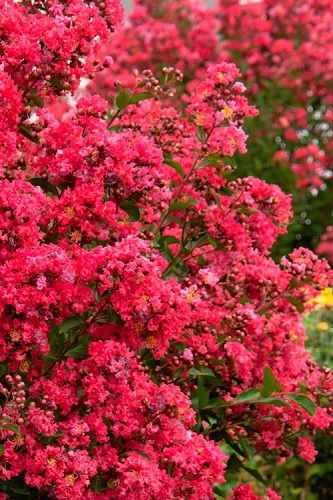 The methods of pruning dwarf crape myrtle range from easy to not at all. 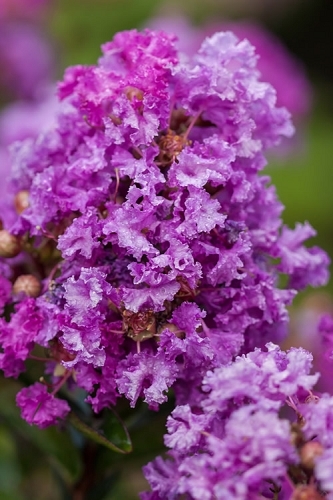 For starters, the plants really don’t require pruning - they have a slow growth rate and a good natural form all on their own. That being said, I usually do some pruning on mine. 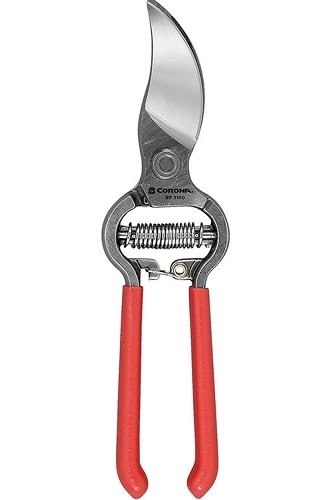 If your plants are full and dense, I'd suggest leaving them alone, or maybe just use hand pruners to snip off the old flower/seed heads from the previous season. 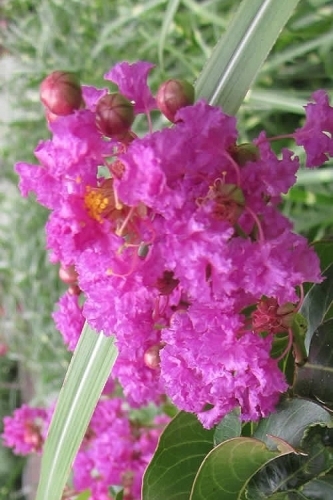 Late Winter - You'll want to prune dwarf crape myrtle in late winter or early spring, before new leaves begin to emerge. 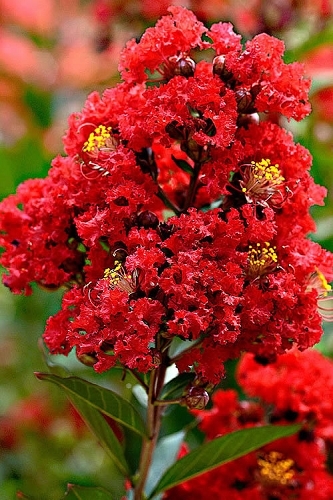 That being said, broken or stray branches that spoil the shape of the crape myrtle can be removed any time of year. 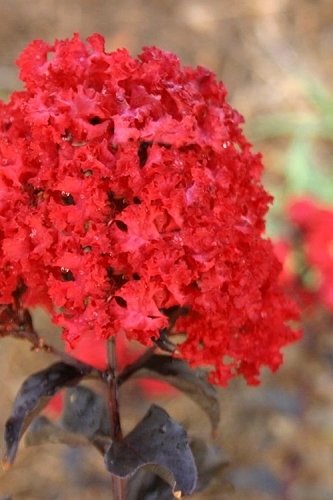 Summer Pruning - Deadheading (the removal of faded flowers) can be done during the flowering season to encourage rebloom from summer through fall. 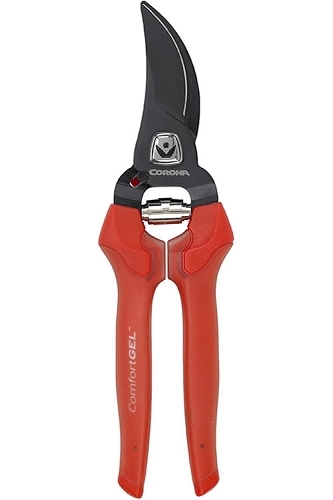 To remove a faded flower cluster, simply snip it off with a pair of hand pruners. 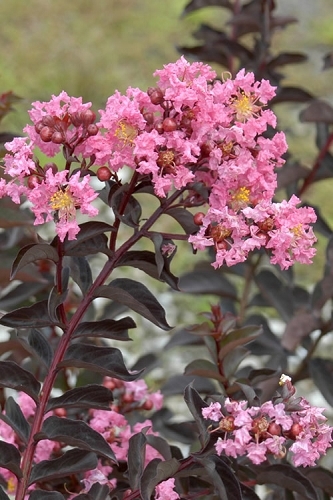 If your dwarf crape myrtle are young and sparsely branched, with maybe just a few widely spaced stems/branches, you might want to give them a pruning to make them more dense. 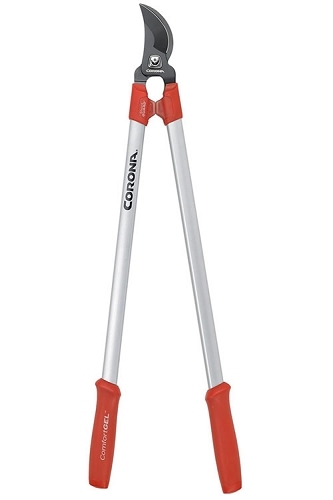 If so, use a pair of bypass hand pruners to cut these branches back by one-third to half their height. 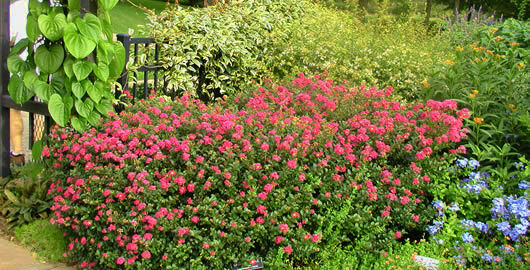 Cut all stems in a way that the plant will form a nice, even, mounded or rounded shape when it fills out with foliage. Wherever you make a cut on a branch two or more new branches will emerge from just beneath where you made the cut. 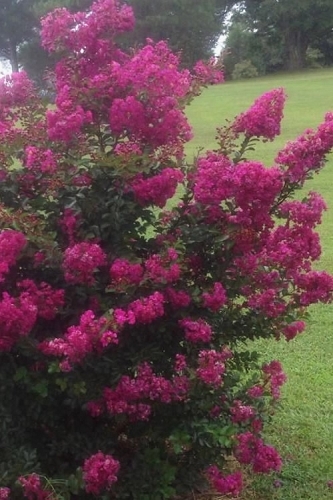 So, to make your crape myrtle fuller and produce more blooms every year that goes by, you'll want to make your cuts several inches above where you pruned the previous year. 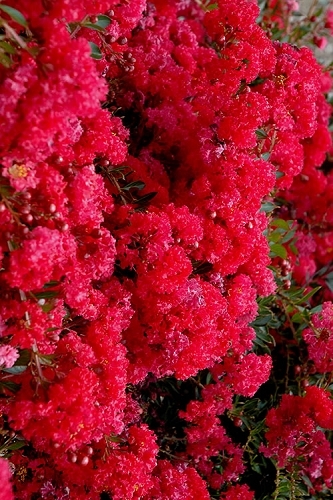 This pruning method will double the number of branches every year, which also doubles the number of blooms. 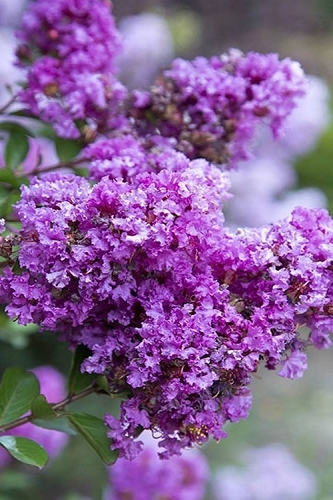 After a few years of pruning like this you shouldn't have to prune at all except to remove a stray or broken branch - the plant will keep a nice, dense form all on its own.